For the Vecton POS system I have build different modules. This is the “Veft-factuur” module. It’s a standalone invoice module for the Vectron-pos, it don’t need Vcom to operate. It’s using Veft as communication platform with the ecr’s. Due the communication with Tcp/ip it’s possible to create global network with 1 invoice server. Therefore it’s possible that the customers visit different locations with 1 account. 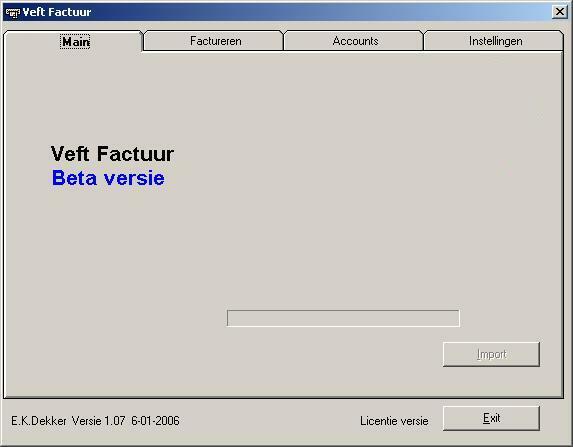 Veft-factuur is a direct invoice system, it’s not necessary as in Vcom to read first the sales (of all the tables) data in the backoffice and make then an invoice. 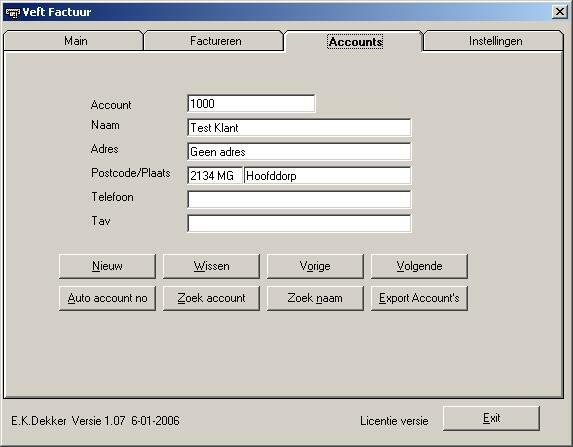 You can make with “Veft-factuur” direct a invoice of a table. Very popular for Bowling and party centre’s, you can give the customer the invoice direct at the end of the evening. 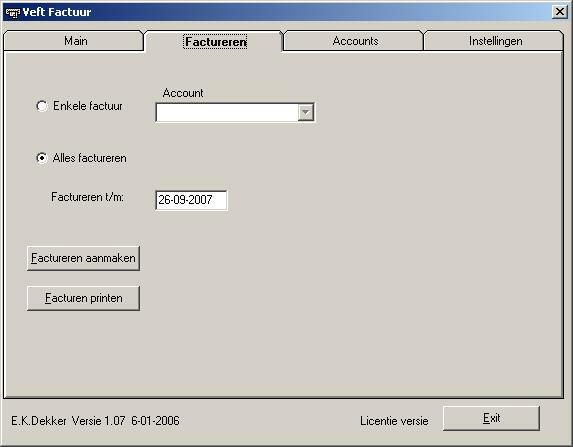 Account management is done in “Veft-factuur”. 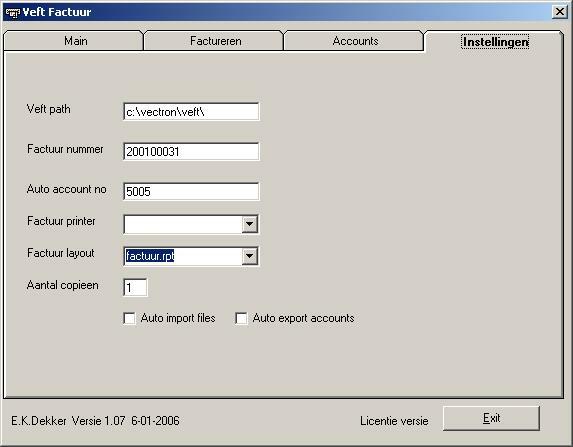 Indentification at the ECR can be done with number, scancode, magnetic & chipcard or with an dropdown menu.